One of the first of the retreat-style festivals currently so popular in ISKCON, Festival of Inspiration, launched in New Vrindaban in 2000, has always offered something a little unique. Now, in its 17th year, with the tagline “Rethink. Refresh. Renew,” FOI is again taking a fresh approach, offering an exciting new inspirational experience based on feedback from devotees about what they like. So in this year’s FOI, running from May 12th to 14th, devotees will get to choose the seminar that interests them most out of three in-depth offerings, each lasting ten hours over three days. In “Dig In!” members of ECO-Vrindaban, New Vrindaban’s simple-living branch, will guide attendees on an interactive journey from Lord Krishna’s garden and goshala to His plate. Devotees will learn how to grow, cook, and preserve food. They’ll take a tour of ECO-Vrindaban’s gardens, study seasonal foods and how to cook them; learn strategies for building soil, increasing plant fertility, and weed control; and construct a simple compost pile. In the milking barn, they’ll get to brush and milk the cows, make yogurt, and churn butter. They’ll also get a practical lesson in how to make ghee the original, medicinal way. “Dig In! will be an experience unique to New Vrindaban, but will also give you knowledge you’ll be able to take home and actually utilize, for instance in creating an urban garden for yourself or your temple,” says Jaya Krsna. With hands-on small group work like journaling and discussion, the seminar aims to see participants leave with solutions and strategies for their individual situations. Finally, for those who are eager to dive into the scriptures, there’s “The Ten Subject Matters of Srimad-Bhagavatam” with Bhakti Charu Swami. In this seminar, Maharaja will explore the ten principal topics of the Bhagavatam, which cover all aspects of knowledge important to human beings. He’ll also look at how these topics are not dealt with one after another in the great work but can be found throughout all twelve cantos. Besides the in-depth seminars, there will be five plenary sessions that will not be held alongside anything else, so that all festivalgoers will get to participate in them together. Legendary kirtaniya Agnideva Das will discuss the mood and inner meaning of Srila Prabhupada’s Prayers to the Lotus Feet of Lord Krishna, written aboard the Jaladuta. Along with all the devotees, Agnideva will also sing the bhajan, which is the title track on his new album. In “Preaching in Everyday Life, Our Real Business” inspirational book distributor Vaisesika Das will talk about how the sankirtana movement was Sri Chaitanya Mahaprabhu and Srila Prabhupada’s entire focus, and how important it is that we continue to carry it out. He’ll also share practical advice about how to distribute books and how we can all find space to preach in our busy regular lives. In “Mahabharata & Our Life’s Journey: A Storytelling Workshop,” award-winning storyteller Sankirtana Das will talk about the importance of oral tradition in society, explore the heroes of the Mahabharata and and discuss how we can all find the inner hero within us. As New Vrindaban is the only temple in North America with a full-size Lord Nrsimhadeva Deity, devotees will rush to Bhaktimarga Swami’s plenary, where they’ll get the rare chance to experience a dramatic recitation of the Nrsimha Kavacha along with a Nrsimha yajna, in front of the ferocious Lord Himself. 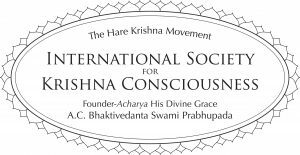 Last but certainly not least, one of Srila Prabhupada’s seniormost disciples, Malati Devi Dasi, will lead a sanga in which dozens of Prabhupada disciples will share their heartfelt memories of ISKCON’s Founder-Acharya, and how he inspired them. For every hour that their parents are attending these uplifting and edifying seminars, children aged 5 to 13 will also get a complete program, included free with festival registration. Led by teachers Sri Tulasi-Manjari and Olivia Browning Snider, this hands-on-learning adventure will be the first ever FOI Kids’ Camp with a New Vrindaban farm life theme. Activities will include art, cooking, gardening, building, games, sports and, of course, caring for the cows. 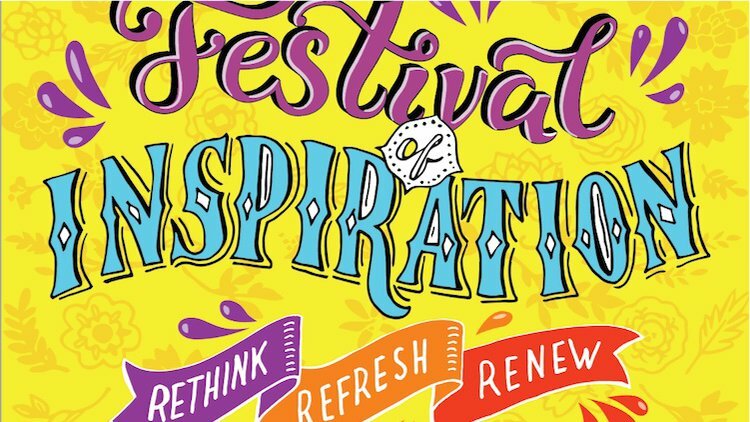 Missing off the schedule for the past few years, Festival of Inspiration’s famous entertainment will be back too. The family friendly show, which will accommodate and involve children, will feature energetic dance troups, musical performances by Mangalananda (Michael Cassidy) and Yamini, The Juggernauts with Gaura Vani and Visvambhar, and Kirtan Premi; the drama Puri by Bhaktimarga Swami; and storytelling by Sankirtan. Throughout the whole festival, there will also be regular kirtan under the yajnashala, and more time for devotees to simply hang out, chat, and enjoy each other’s association. And of course, there will be three meals a day of Festival of Inspiration’s famously delicious prasadam. Embracing the simple lifestyle Srila Prabhupada’s envisioned for New Vrindaban, only dairy from New Vrindaban’s own protected cows will be used, and locally-grown produce will be used as much as possible. There will also be lots of vegan options. Prev:Festival of Colors – Mark Your Calendars!